Mumbai (AsiaNews) - A Pentecostal clergyman was killed and beheaded last night just outside Ranchi, in the State of Jharkhand, said Sajan K George, president of the Global Council of Indian Christians (GCIC). 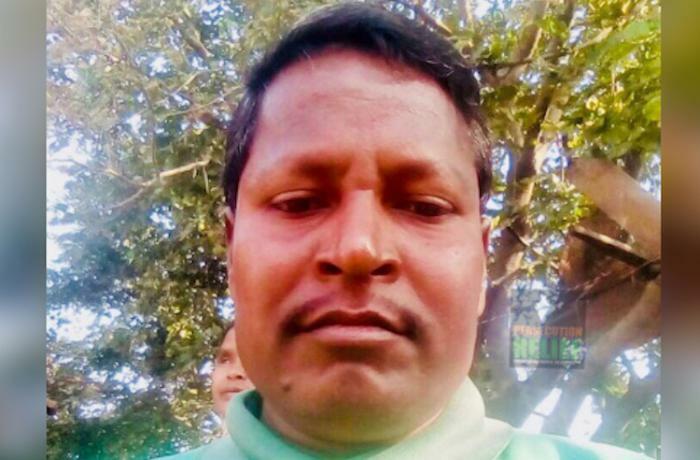 The victim, Rev Abraham Tigga Topno, lived in the village of Ubasaal, the GCIC president told AsiaNews, Maoist rebels active in various Indian states are behind his death. "The murder of the Pentecostal pastor took place on the outskirts of Ranchi. The criminals accused him of being a police spy," George said. The clergyman was killed on his way home from the market. A note (picture 3) was found next to his lifeless body with the symbol of his killers, namely the People's Liberation Guerrilla Army (PLGA), an armed Maoist group. The four-line note said, "Death to a police spy. Long live the PLGA. He was a police informer. This is the fate of all who go against us." Sajan K George said the clergyman was beaten and later beheaded. Police confirmed that the Maoists chopped off Abraham Tigga’s head. “They then set a vehicle on fire in Tamar,” George said. Police found the body today and took it to the coroner.